Planning is essential for restaurateurs seeking a Georgia liquor license. Each individual business is required to obtain local, state and federal approval to sell liquor. If you’re planning to open a brewpub or serve alcohol at a winery or a farm stand, there may be other Georgia state liquor laws with which to comply. Unlike many states, liquor licenses are approved by the county or the municipality where the business will be located. Once you identify the relevant city or county, ask for application information. Fees vary from as little as $50 to over $5,000 in major cities like Atlanta. The Georgia liquor license process begins at the local level and typically involves a number of steps and investigations into your personal and business interests before a license can be approved. Different local governments have different procedures and requirements. Since it’s not always clear in Georgia exactly where a property is located, it’s vital to make sure you know exactly where you need to apply. Check with the city and county zoning boards where you plan to locate your business to determine what documents and fees are required and which local agency oversees the process. As in most states, zoning is a key factor in license approval. Before you do anything else, check with the city and the county where your business will be located to make sure that your proposal meets all zoning rules and regulations. The city of Atlanta also requires a certified survey of your premises to make sure the location complies with Georgia laws stating that no business serving alcohol can be located within 100 yards of a church or 200 yards of a school. In some counties, you may also be asked to submit a floor plan, a drawing of the premises highlighting the service area measured in square footage, as well as schedule a meeting with the appropriate Neighborhood Planning Unit. All Georgia liquor licenses require a significant amount of paperwork. Further, your personal background and your business will be investigated prior to approval. Although specific requirements vary by county and municipality, all prospective owners must be U.S. citizens and residents at least 21 years old. There is a required background check which may ask for evidence of permanent residence in Georgia, letters of reference, photo identification, fingerprints and/or photo ID. You should locate all your corporate documents and have them ready to submit with your application. You also need to provide proof that you own or lease the place in which you hope to sell alcohol. In addition, you'll need to show records or all financial investments related to the business and a copy of the menu proving that food will be served for onsite dining. In some cities, an in-person interview with an investigator is required. In Atlanta, you’ll need out to fill out a personal history card and be fingerprinted at the permit office. In Atlanta, you are also required to post a notice in the newspaper at least 10 days before you meet with the License Review Board. If you are seeking a Georgia liquor license elsewhere in the state, check with your local licensing board to see if it has specific requirements for completing your application. For example, some cities will require that your servers obtain an alcohol server permit in Georgia. After working to obtain a local Georgia liquor license, the next step is to apply for license approval from the state. Fortunately, this is much easier than obtaining local approval because you already have the necessary documents. You must provide the Revenue Department with a notarized copy of the Georgia Alcohol and Tobacco Personnel Statement, a financial affidavit, a scanned copy of your local license and the citizenship affidavit, and proof of citizenship documents. If you haven’t already done so, you may be required to submit to a background check and fingerprinting. Owners of brewpubs and wineries will also have to obtain a federal permit to sell alcoholic beverages from the Alcohol and Tobacco Taxes and Trade Bureau, a division of the U.S. Department of the Treasury. This can be done entirely online, and there is no application fee. Katz, Frances. "How to Get a Liquor License in Georgia." 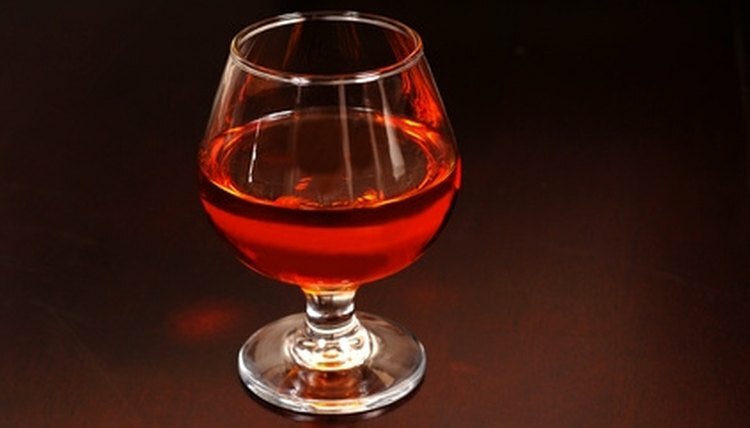 , https://legalbeagle.com/4523968-liquor-license-georgia.html. 17 August 2018.